Imagine that special feeling when you help someone. Something we treasure and experience a thousand times a day. It's our passion for CREATING, DELIVERING and IMPROVING home health services. Home care agency, Attention Plus Care, is the oldest and largest privately owned, Hawaii State Licensed and Joint Commission Accredited, private duty home health care agency based in Honolulu. For over 35 years, our team of exceptional caregivers assist individuals of all ages with their changing personal and health care needs. We provide the best in home health care services available, and can manage a full range of personalized care for you, in the comfort and familiar surroundings of your home. And whether it's for you or a loved one, we know there are times when finding the right home care can be overwhelming. With so many factors to consider these days, it can be an uncertain and difficult task to accomplish. Rest assured, individuals or family members searching for alternatives to costly nursing care homes, long term care, assisted living facilities, respite or other care options, can call on Attention Plus Care to listen, understand, and help you with the right choice. As a top rated agency in Hawaii, we deliver a proven system of care that only an experienced leader can provide. From exceptional health companions, home health aides, skilled nursing, care management, and specialized services, our team approach has helped thousands of families just like yours, to receive safe and high quality care in the comfort of your home. Going further, we also maintain a dedicated team of schedulers on continuous 24 hour call, to respond to client service requests and updates, giving you more flexibility to manage your care needs and peace of mind. And with our state-of-the-art system, we provide you with professional caregivers who have the skills and qualities to match your needs. All of our caregivers are extensively screened, trained, tested, bonded, fully insured, and monitored to have the most current credentials and information to better serve you. CarePlanet™, our powerful proprietary system of care, is unmatched in the industry, helping us to create, improve, and deliver more home care services like no other agency in Hawaii. As a result, our clients have better access to care, more information about their care, and unrivaled personal support 24/7. Great care comes from the heart. And our passion and dedication to serve in this special way has earned Attention Plus Care the highest level of trust with our clients, major health, community and social organizations in Hawaii. Our partners know the value and high quality in our services, and can depend on us to meet their needs. Call us today to learn more about the benefits of home health services and how we can help you. Our friendly and professional service consultants will assist you each step of the way to understand your care needs and get you started on the right path. Initial consultation is always free and just a phone call away. 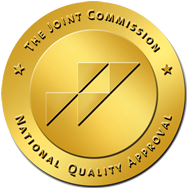 Attention Plus Care has earned The Joint Commission’s Gold Seal of Approval which means we have met national standards for health care quality and safety. 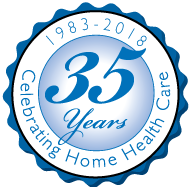 Attention Plus Care is celebrating over 35 years in Home Health Care and serving the people in Hawaii.